2) The exercise will be held June 18 to 27, 2012, in Douala, Cameroon. Look for our regular feature on African nations, “Africa Snapshot”, highlighting Cameroon next week. 3) About 35 African nations and 250 participants, including Africans, Europeans, Canadians and Americans, will be involved in Africa Endeavor 2012. 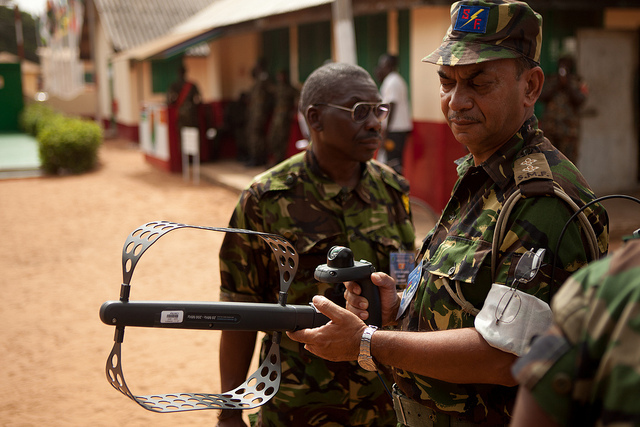 4) Africa Endeavor 2012 is modeled after Combined Endeavor, the largest command, control, communications and computers interoperability event in the world. Combined Endeavor is sponsored by U.S. European Command and draws 1,400 communications professionals from more than 40 NATO and Partnership for Peace countries each year. 5) Ensuring African nations can communicate smoothly with each other in times of crisis is critical to peacekeeping and regional stability. Africa Endeavor 2012 focuses on testing command, control, communications and information systems to prepare for future combined humanitarian, peacekeeping, peace support and anti-terrorism operations. 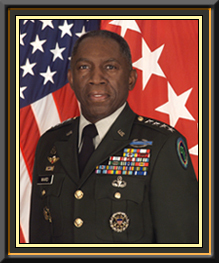 6) One of U.S. Africa Command’s goals is to help its partner African nations improve their military capabilities. The exercise was planned together to identify, test, and document how different communications systems and other systems work together. Read about the initial planning conference, hosted by Lesotho, and the final planning conference, hosted by Ghana. 7) The results from the tests will help improve support of the African Union and its Standby Force by creating a common standard for joint military operations in the future. 8) After the exercise is finished, an updated African Interoperability Guide will be produced. 9) The first Africa Endeavor was held in over five days in 2006 in South Africa. Participants came from 24 African nations. Read about that first Africa Endeavor exercise. 10) Each year, the exercise builds on its learnings from the year before. Watch a video of the opening ceremony of Africa Endeavor last year, in Banjul, The Gambia. Starting this week, you can find stories, photos, video and more covering Africa Endeavor on our website, Flickr page and YouTube channel. For frequent updates, follow us on Twitter and like us on Facebook. If you are participating in Africa Endeavor, tag your Tweets with #AfricaEndeavor and post your thoughts from the exercise on our Facebook wall. I am one of 2 radio operators sent from Miramar. Myself and Sergeant Brandon Sanders arrived with a group of data Marines Saturday. I did not know exactly what to expect of Ghana, but was pleased to find the local military so helpful and courteous. Our passage through customs was no effort, and the ride from the airport to our hotel was not very long. After settling in we came on base Sunday and basically just oriented ourselves with our working area and registered. I was able to meet and start working with some Marines from Marine Forces Europe which has been interesting. Several Marines from Communications Squadron 48 were able to go to the US Embassy and meet a few of the Embassy Marines there, and have dinner and share stories. That was a unique experience, the first time I had been to an Embassy. It felt strange yet comfortable knowing even in the middle of West Africa, in a way, I was still on U.S. territory. Sergeant Kish has been very helpful and a good teacher, reviewing radio materials I already know and speeding me up on some new gear and programs. There is a very significant difference in funding between reserve units and active duty, this was very apparent when I saw the radio equipment that Sgt Kish brought with him. Field expedient kits and radio sets that still looked brand new and with a full contingent of accessories. Thus far I have not been working operationally with the Africans, but Im sure that will change as the operation develops. We were able to erect an antenna that the Nigerians brought, creating a field expedient setup called a horizontal di-pole 1/2 wave. One of the classes that Single Channel Radio will be involved in is going to be Field Expedient Antennae. We plan on setting up a few more antennae to talk with various participating African countries and a shot up to Italy. I have been trying to be careful about what I eat so as not to fall ill as a few other Marines have since arriving. But I have been looking forward to tasting some of the local cuisine, such as the guinea fowl, at one of the restaurants. I am told we will be taken out into town and see more of Ghana before we leave. I look forward to that. One of the officers from Uganda sat next to me at the orientation dinner and we talked about sports, I tried to explain the rules of baseball to him but he seemed very confused by it. He thought I would enjoy seeing more of the country. Many of the Africans that I have met, that are part of the operation, have seemed rather happy to be here; it seems as if a few never stop smiling. It is an experience to interact with all the other US service personnel. Many are quite proficient in their fields, especially some Navy petty officers that came over from the U.S. base on the Horn of Africa. There is a lot of the operation left, and I’m sure as a Lance Corporal there will be plenty of work that needs doing. I’m looking forward to home, but am enjoying my time here also.